I am surprised to read the comments. Is it really possible to do E-commerce in this way? Bazee.com CEO just arreasted in this case. (Released on bail as per morning newspaper). How is the CEO responsible for such things? Is Bazee.com responsible/accountable in this case? Bazee.com is a auction site run by its users, and they have a user agreement with all seller for not using their site for promoting pornographic material.If any user has crossed his limits and placed such items on the site, user is solely reponsible? I think arrest of Bazee.com CEO was unjustified and was a work of uninformed police officers. What was the purpose behind this arrest, I am unable to see, bazee.com was co-operating in the case, they put off the listing from the site after matter was brought to their notice. I think, cops want to send a hard message to all ISPs. Who will do business in india then? And if going by the example every phone service provider company CEO will be behind the bar as most of murders and major crime always planned or executed by the help of telephones. Police should arrest the parents of boys and girls for not giving proper education to thier children. Honable court has advised not to use the name of school so I am not using the school name here, But IMO school also has not any responsbilties. My concern in this case is court refused to accept electronic contract as real contract ( As long as I know electronic contract are legal in indian cyber law.) 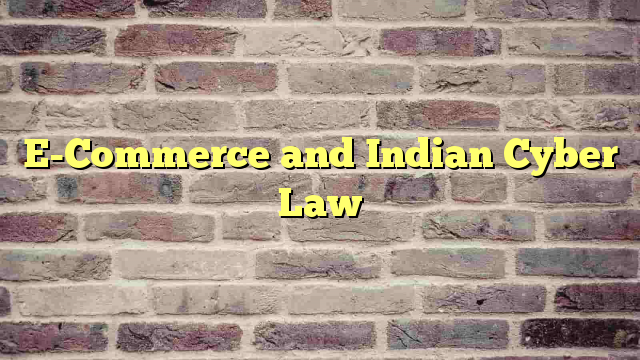 If this is the case then ecommerce in india will take a major setback, we simply can not do business without electronic contract, if court will refused to treat electronic contract as real contract then a large number of cases will be in the court very soon as allmost all share trading website in india ( e.g. ICICI ) use electronic contracts for their operations. Previous Previous post: After Year 2000 problem…..?